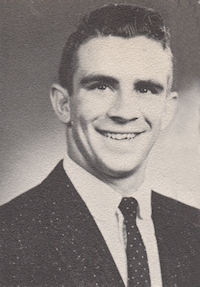 Obituary – Johnson, Charles Leonard « Perry High School Alumni Association, Inc.
Vice President Senior Class 55-56, All School Revue 53-54, Teen Town Council 53-55, Junior Play 54-55, Wrestling 53-56, Football 53-56, Football Co-Captain 55-56, Baseball 53-56, Boys’ State 55, Home Room Treasurer 54-55, Home Room President 53-54, Class Assemblies 53-56. 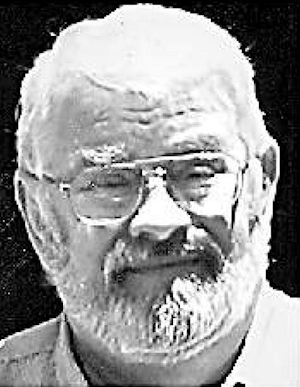 Charles Leonard Johnson was born on October 21, 1938 in Perry, Oklahoma and passed away on September 23, 2008 in Bend, Oregon. He married Judith Morter 46 years ago and they have two sons, Michael Scott and Joel Todd, wife Robyn and grandsons Jared, Justin and Tyler. He is survived by brothers, Ray, wife LaNelma, and Rob, wife Pat, brother and sister-in-law Jim and Karen Morter and many beloved nieces and nephews. He graduated with a B.A. degree from Texas Christian University, served with the World Council of Churches in Austria and Greece, received a B.D. degree from Brite Divinity School and an MBA from the University of Utah. After serving 10 years in the formal ministry, he chose to minister through serving with the United Way in Boulder, Colorado; Salt Lake City, Utah; Bucks County, Pennsylvania and Lewiston/Auburn, Maine. Charles felt deeply about the injustices, poverty and inhumanity around him. He did all that he could to make a difference in the lives he touched. He wished for his home in the woods of River Meadows to be his ”end of the trail”, and that is how he left this world. A Celebration of Life service will be held at Sunriver Christian Fellowship Church, 18143 Cottonwood Road, Sunriver, on Monday, October 20, at 7:00 p.m. All are invited.